There are many viewpoints in the world, and you must sift through them to find your truth. What is right for one person, is not necessarily what is best for another. Also, be aware that a crystal formation may have well documented uses, but others may have discovered new energies and uses. Use this list as a starting point. Abundance An Abundance Quartz Crystal is a "Host or 'mother' point with at least nine other points (or doubly-terminated crystals) around the base vertically. Quite Rare." The smaller crystals are usually less than 10 percent of the size of the larger crystal. 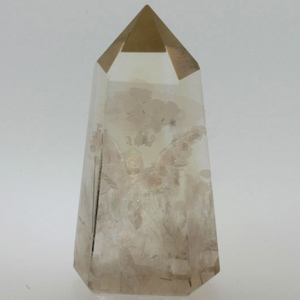 Abundance Quartz is for development efforts aimed as securing one's future. Like a plant with its seeds sprouting around it, an Abundance crystal is a source of regeneration and growth. Abundance Quartz crystals contain high concentrations of the Universal Life Force. Their best use is as a talisman when the desire is to foster fertility. They work well in gardens to bring crops to life, and in homes where children are desired. Quartz included with green actinolite. Historically known as Thetis' Hair Stone. Usually now found as opaque green stones. Transparent material is extremely rare. Faceted gemstones are sometimes available on rare gem Web sites. When cut en cabochon, this is sometime incorrectly called "cat's eye jade." Actinolite is an asbestos mineral. Sometimes Amphibole Angel Quartz is actinolite included, sometimes it is other asbestos minerals. Actinolite Quartz is, according to Melody, used as a shield. Others have noted it use to keep one on a chosen path, promoting a feeling of self worth, and developing a sense of responsibility. Examination and use of several forms of this material reveals that it is primarily a powerful conduit of the growth element of the Universal Life Force. Spheres, particularly, should be kept in areas where new life is expected to grow and develop. These are excellent for using in your garden to bring energy and vitality to your plants. Activation (left brain) Activation (left brain) crystal has an inclined main facet that leans to the left. Often confused with a Time Line to the Past, but a Time Line is a 7th facet. Activation crystals are aptly named. They are skewed and almost make you tilt your head when you observe them. They seem off center, tilted, and misaligned. That is their power. The left leaning, Left Activating crystals enhance the power of the left side of your brain. If you have a problem that requires logic, reasons, and sound judgment to solve, yet you have emotional confusion, use a Left Activation crystal in your mediations to deal with the issue. It will point you in the correct direction. Activation (right brain) Activation (right brain) crystal has an inclined main facet that leans to the right. Often confused with a Time Line to the Future , but a Time Line is a 7th facet. Activation crystals are aptly named. They are skewed and almost make you tilt your head when you observe them. They seem off center, tilted, and misaligned. That is their power. The right leaning, Right Activation crystal enhances the power of the right side of your brain. If you have a problem that is primarily one of interpersonal relationships, yet your reason tells you one thing and your heart tells you another, use a Right Activation crystal to meditate. The correct approach to dealing with your issue will be given to you. 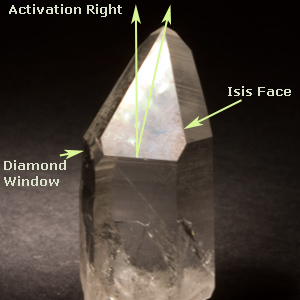 Note in picture that this crystal also has a Diamond Window, and the activation right face is also a Isis Face. Activator See Time Line to the Past or Future. Ajoite Quartz Ajoite Quartz is Quartz with inclusions of Ajoite. Ajoite is an attractive blue/green copper silicate mineral that is named for its type locality in the Ajo District of Pima County, Arizona. It is a secondary mineral that forms from the oxidation of other secondary copper minerals. Ajoite quartz is associated with both the heart chakra and the throat chakra allowing one to freely express their heart’s desire. Ajoite Quartz has a soft, joyful energy, that brings peace and contentment almost immediately. It has great power to reduce tension in a situation, and it truly enhances a sense of belonging to those in its presence. It is a bonding stone of considerable power. It has the energy needed by master healers for their work in the upper parts of the body. 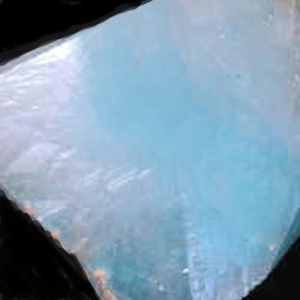 Ajoite Quartz is a very popular crystal, and well described in various contemporary crystal books such as the Book of Stones, and Love is in the Earth. Alien This name is an unfortunate slang term for the misinterpretation of the ET crystal. The ET crystal is not the Extra Terrestrial. Rather the ET was, and is an abbreviation for quartz crystals that have extra terminations. See Extra Termination. 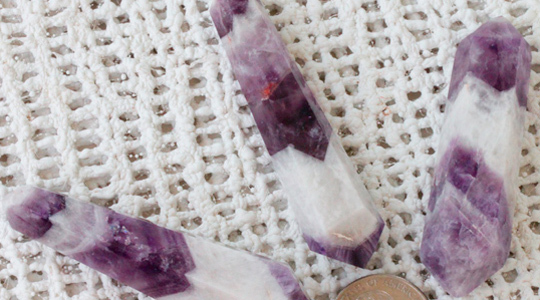 Amethyst Quartz Violet quartz with whitish stripes. Amethyst quartz is a more compact formation of amethyst, layered and striped with milky quartz. Also known as banded amethyst and as Amethyst Chevrons. Amethyst Quartz, or Chevron Amethyst is often used as a meditation stone when the intention is to find honesty, purity, and faith. Amphibole quartz is a milky white quartz that contains one or more of the amphibole minerals which are primarily the asbestos silicates. The most common being Actinolite and Tremolite (the others, such as Glaucophane, Hornblende, and Riebeckite, being brown, blue or black.) These are fibrous asbestos minerals and the fibers give the opaque milky appearance. These crystals are also known as Angel Quartz crystals due to the inclusions sometimes having a wispy effect resembling wings. Angel Quartz is said to also shield someone from the abrasiveness of others. This is especially helpful to those that have been emotionally or verbally abused. 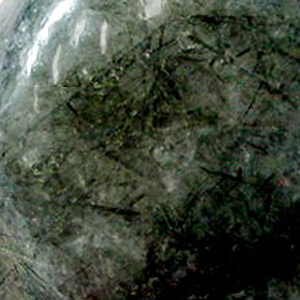 Angel Quartz often contains additional inclusions such as Hematite. The inclusions are often red or yellow depending on the included minerals. The Angel Quartz is sometimes in a phantom. Amphibole Angel Quartz is said to ease communication with Spirit Guides and has been noted to give off vibrations of peace and security. It has been suggested that it is effective in balancing the energies of the three higher chakras. It is so named both for the angelic messages it seems to transmit, and for the angelic looking white appearance. Use to help communicate with your guardian Angel. Some suggest that you use it with other Angelic crystals like Celestite and Seraphinite, Their special energy can transform anyone near them. Ancestral Time Line See Time Line to the Past. Angel Crystal Angel Crystals have an inclusion pattern that looks like angel wings. Sometimes its silvery white, other times it can be darker, depending on the included material. The Angel is exceeding rare. Should you be fortunate enough to acquire one, you have a true treasure. Angels are crystals that offer a channel to communication with the Spirit Guide realm. Every crystal can potentially offer a conduit to a spirit guide. However, Angel crystals are optimized for this communication. Use them as mediation crystals when you are in need of spiritual advice. 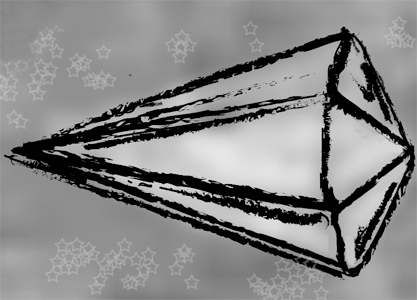 Don't be surprised if you have to spend a little extra time working with an Angel crystal. They will facilitate your communication, but you have to have something to say when you use them! Be receptive, non-judgmental, and don't expect to always get answers. Note: I drew in the angel wings and put a figure behind them to illustrate the idea. This is a Photoshop image to illustrate only. Apple Aura Clear or milky quartz crystals infused with a Gold based coating at high heat. Coating is thin but durable. The color is a light yellow green. Man-made product produced from natural quartz with high pressure and chemicals. Aqua Aura Clear or milky quartz crystals infused with a Gold based coating at high heat. Coating is thin but durable. 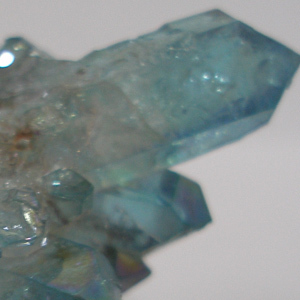 Aqua Aura quartz has been reported to provide calming and soothing vibratory energy. It has been used successfully in treating imbalances in the throat chakra. It soothes and relieves stress and promotes a sense of well being. 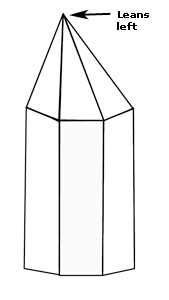 Artemis Crystal See Candle Crystal. Arkimer Diamond A diamond shape formation similar to the Herkimer Diamond but mined in Arkansas It is a stout, short Double Terminated crystal. 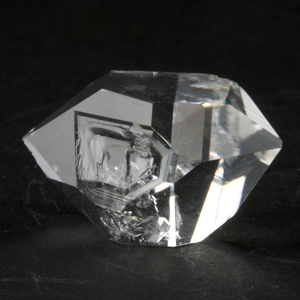 As double terminated crystals, Arkimer diamonds are meditation crystals, divination crystals, and personal talismans. They are used in meditation to connect to the spiritual world. They are able to serve as receivers and transmitters to the higher planes of the spirit world. They are often used in efforts to converse with angels and other spirit guides. 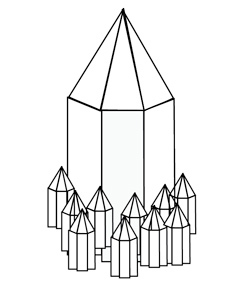 As divination crystals, they are used to connect the past with the future drawing from the past to see into the future. As talismans they are used to facilitate communication between individuals, teaching us to listen as well as talk, respond as well as react, and accept as well as question. The carving of the Love Star results in a highly symmetrical crystal that is used extensively as a “home stone” for people deeply in love. Gazing on a well cut Love Star seems to bring feelings of love and affection to most anyone. 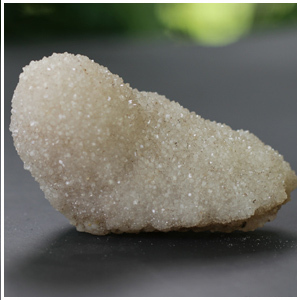 These crystals are meant to be displayed prominently in a room, particularly a bedroom to infuse the area deep feeling of contentment and joy in companionship. Auralite-23 Also known as Super 23. This are quartz crystal recently found in the northern areas of the Boral Forest in Canada. It is reported to contain up to 23 elements and minerals with all crystals having at least 17 different ones. Named for the Aurora Borealis. Aurora Aura Quartz A trademarked name for a crystal that is coated with Titanium. 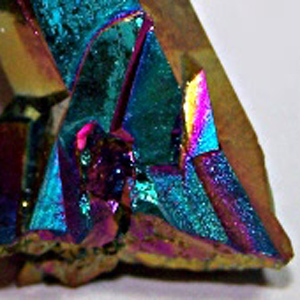 It is also known as Titanium Aura, Sunshine Aura, and Rainbow Aura quartz. Helps release negative emotions and restores a zest for life. Aurora Quartz A natural white opaque quartz from India that has some natural opalescence. Also called Anandalite, Rainbow Quartz or 7 Color Quartz. It seems to be of two grades: the best of it reflects the sun as a rainbow, similar to the effect of some treated Angel Aura quartz. Other pieces are a pure white and do reflect color, even in bright sun. Aurora Quartz is a recent addition to the tools of the crystal healers. It is from India. It is reported to be a rather powerful stone that can awaken a warm and "tingling" energy in the lower chakras. The stone is reported to be a trigger for blissful meditations filled with spiritual joy.